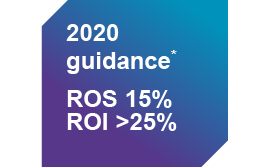 We are delivering towards our „Winning together: 15 by 20“ strategy and continue creating a fit-for-purpose organization for a focused paints and coatings company, contributing to the achievement of our 2020 guidance. 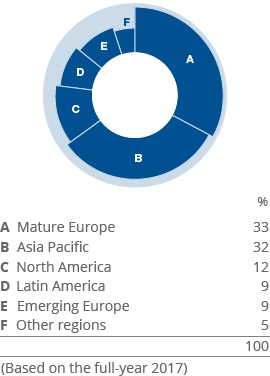 Demand trends differ per region and segment. Raw material inflation is projected to continue for the remainder of 2018, although at a slower rate than during the start of the year. Robust pricing initiatives and cost saving programs are in place to address the current challenges. We are taking the next step in our transformation to deliver the next €200 million cost savings by 2020, incurring total one-off costs of €350 million between 2018 and 2020. Copyright © 2018 Akzo Nobel N.V.